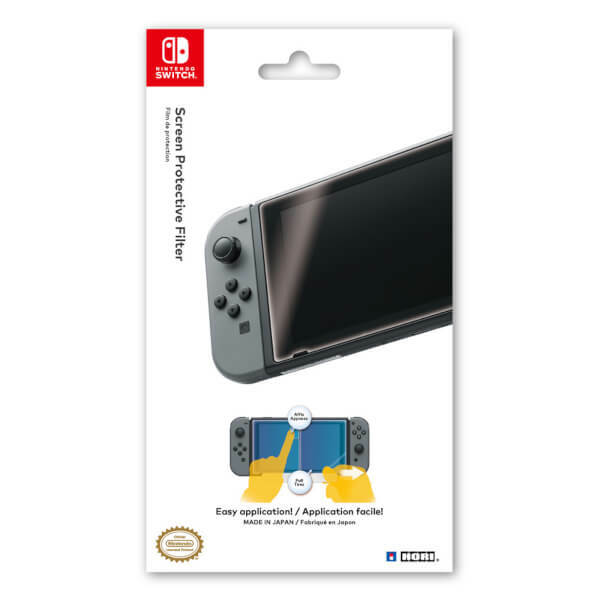 Protect your Nintendo Switch console screen from scratches and dirt with this easy application protective screen filter. Protect your Nintendo Switch on the go with this Protective Screen Filter. The screen protector came with a "card" to iron out the bubbles, but instead it made scratches on the screen saver, which, defeats the purpose. Found it easy to apply, although I messed up a bit with the air bubbles but it was easy to get most of them out.